The Consort 9 does it all: heats your home, runs your hot water, and toasts your crumpets. 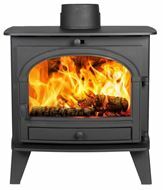 Despite its smaller stature it issues an amazing 9kW of heat, which is perfect for warming up family rooms. But that’s not all it does. 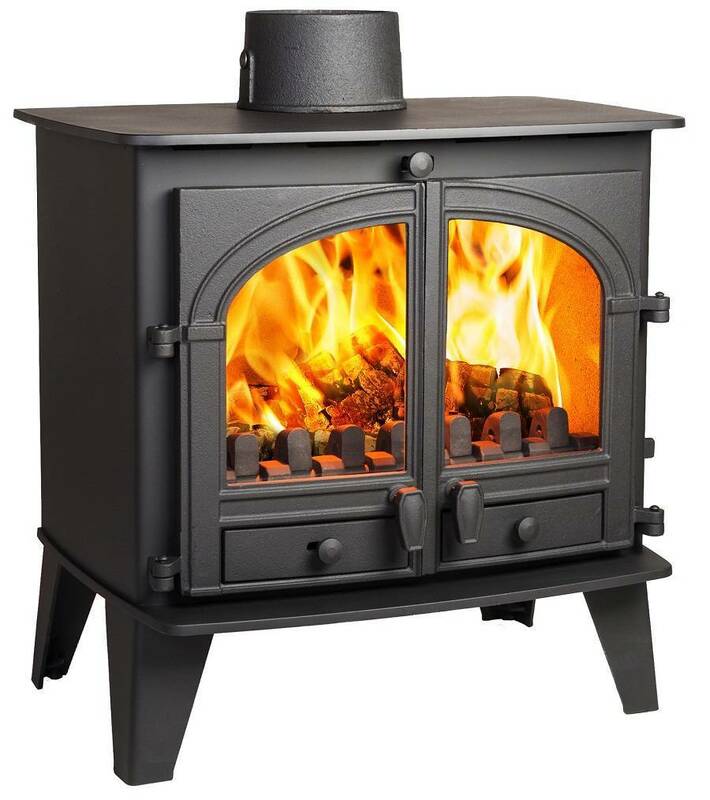 The Consort 9 can burn wood, charcoal or sustainable fuels – change your mind at the twist of a cool-touch handle – and maintains its ‘Cleanburn’ system throughout. This brilliant new technology works in two ways: firstly, a ‘recouper’ and internal lining ensure that heat stays inside the stove, being directed outwards rather than upwards. 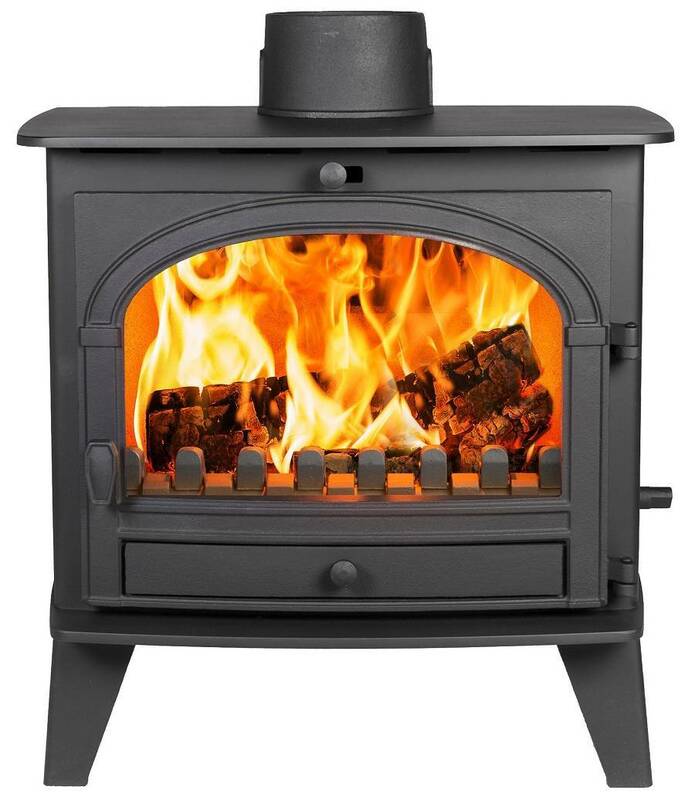 Secondly, unburned gases are reignited inside the stove, so that there’s less to go up the chimney. And in return for all this hard work, the Consort 9 doesn’t even ask you to clean it. A special ‘airwash’ creates jets of hot air between fire and door, preventing the glass from getting blackened – so you can put away that dishcloth. The Consort 9’s busy doing it for you. 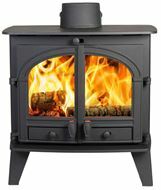 Please note: The boiler models do not look any different from room heater models. If you’re looking for a generous stove to manage the demands of a large house or family, the Consort 15 is simply perfect. 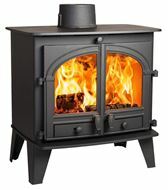 With heat output of between 14 and 17kW, it’s warm enough for even the coldest-blooded relatives! This new model has been 20 years in the making, and it’s packed with features. 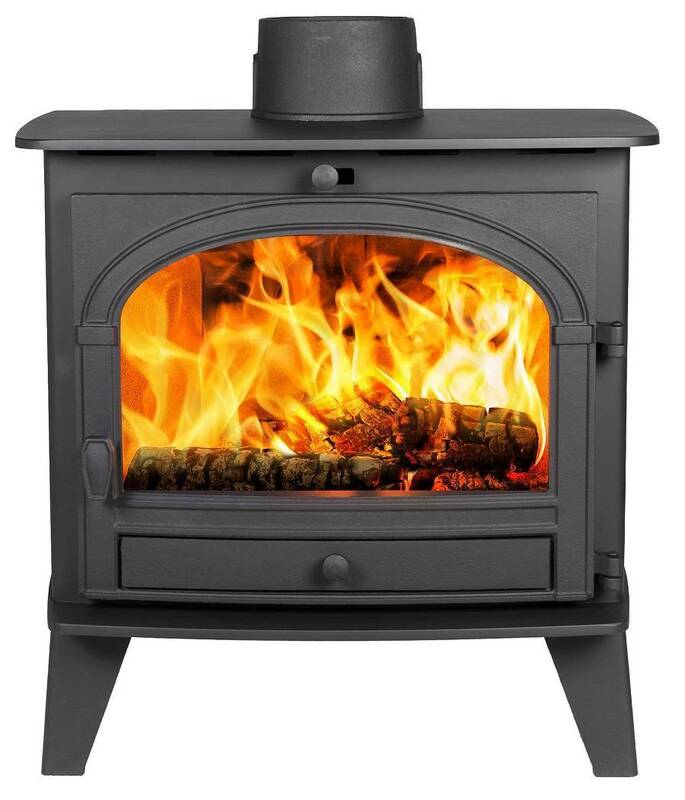 You can burn wood or other solid fuels (just adjust the grate using the riddling handle), and the stove’s clever ‘Cleanburn’ technology reduces gas emissions. Thoughtful features – like a handle that stays cool, and a recouper to direct heat into your room – improve its performance even further. There’s good news for the housekeeper, too: a clever ‘airwash’ system keeps smoke and carbon deposits from forming on the glass front, so there’s less cleaning to do. After a cosy night in front of the fire, simply shut the door and leave it to smoulder overnight, keeping a gentle temperature ready for you at dawn. 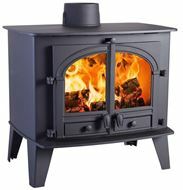 Morning, noon and night, the Consort 15 will soon become the heart of your home. 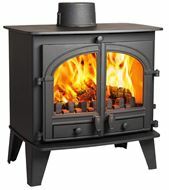 The Ironheart is a stove and a range cooker in one, combining the best of our two main product ranges. 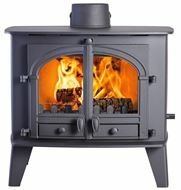 Cooking and heating have never come together more beautifully. 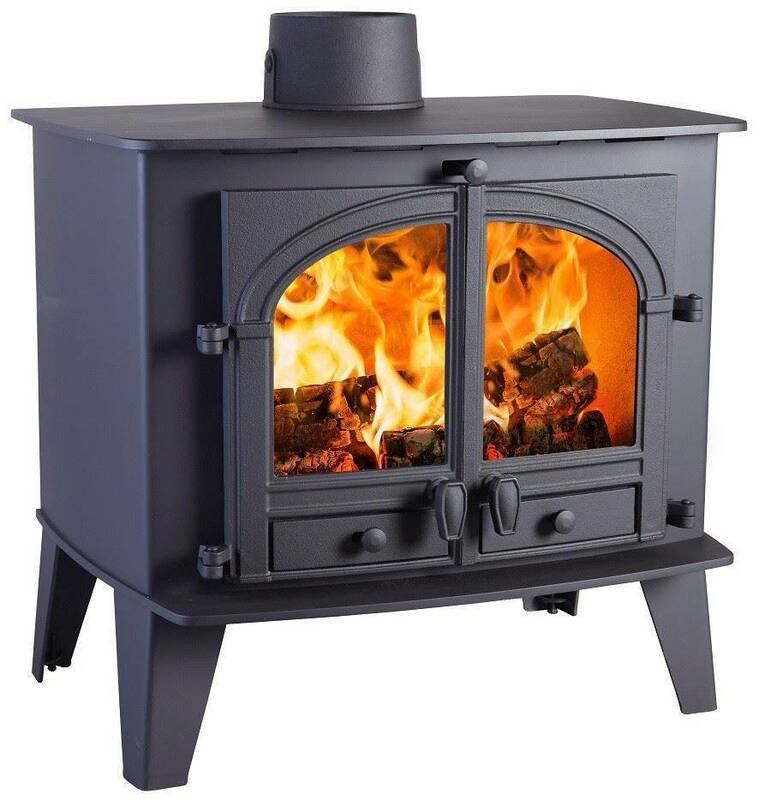 Unlike the standard range cookers, which are designed to contain heat, the Ironheart has convection panels that radiate warmth like a wood-burning stove. 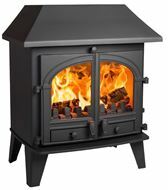 The large firebox can burn either wood or smokeless coal. And whatever fuel you choose, you’ll enjoy watching the flames leap and flicker through the large clear glass window. 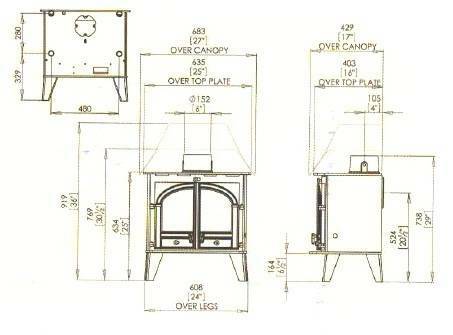 The oven has an almost 50 litre capacity, and you can also cook directly in the firebox. With the “dog bone” hotplate comfortably able to take up to six pans, the Ironheart is equipped to bring out the very best in creative cooks – so no wonder it’s become a firm favourite with head chef Gill Meller and his team at River Cottage HQ. 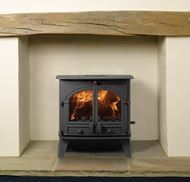 Cast iron with beautiful soapstone cladding the Heritage stove is wonderfully old-fashioned in looks. 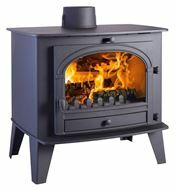 The soapstone stays warm long after the fire goes out, and the cast iron body is made with quality and precision in mind. 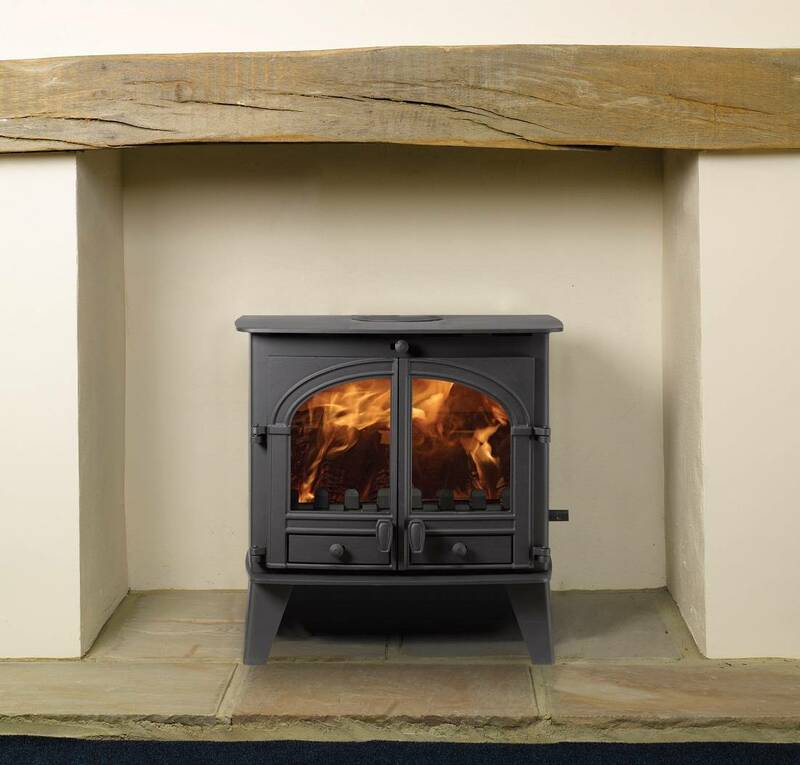 The Heritage has a nostalgic atmosphere but it utilises modern, efficient, double combustion technology, with Airwash to maintain and unimpeded view of the fire. 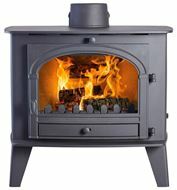 Also available in a Blue Enamelled version. 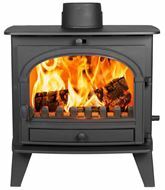 The E-30 L is the largest model in the E-30 range, and with an impressive 52cm wide glass front it gives a fantastic view of the fire. 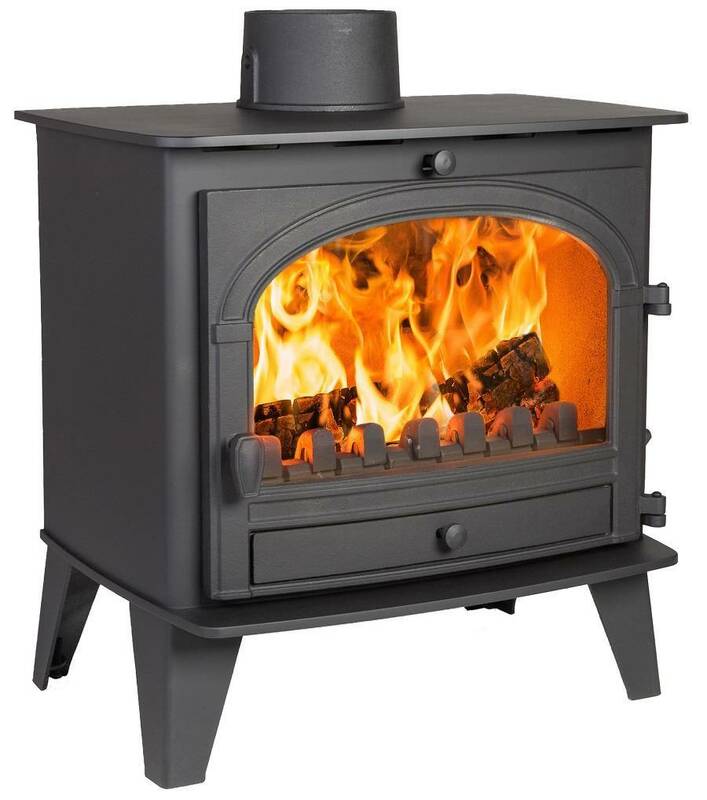 Featuring top of the range combustion technology, this stove produces a heat output of 11kW to provide a warming, cozy ambience, even to large and otherwise chilly rooms. The large loading potential for the E-30 L means that it will burn those awkardly shaped logs, up to a length of 600mm, as well as offering the potential to load large quantities of wood to burn for long periods of time, without the need to reload it. 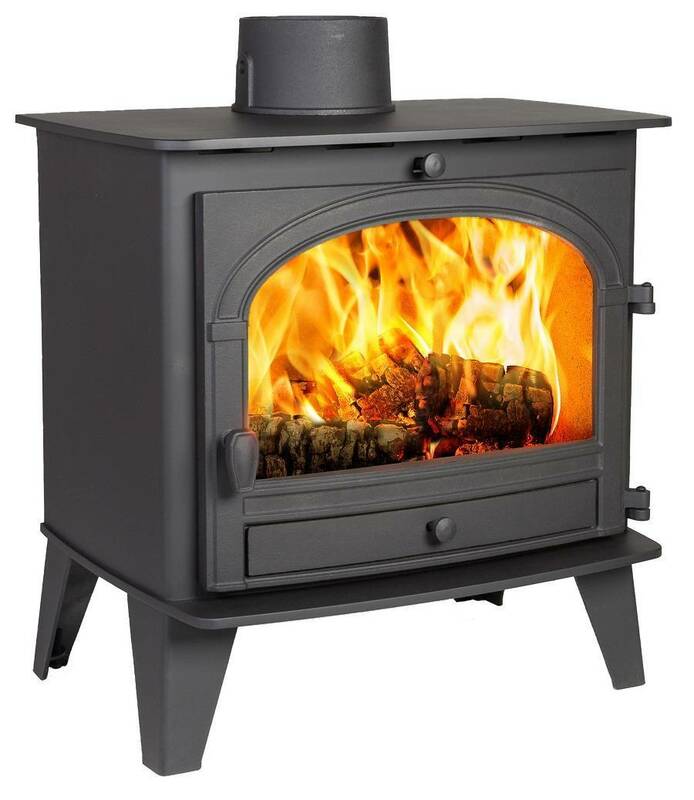 ENERGY RATING: Product Fiche The robust, cast iron construction, associated with Hergom, provides a gentle warmth that continues to emit heat after the fire has gone out. 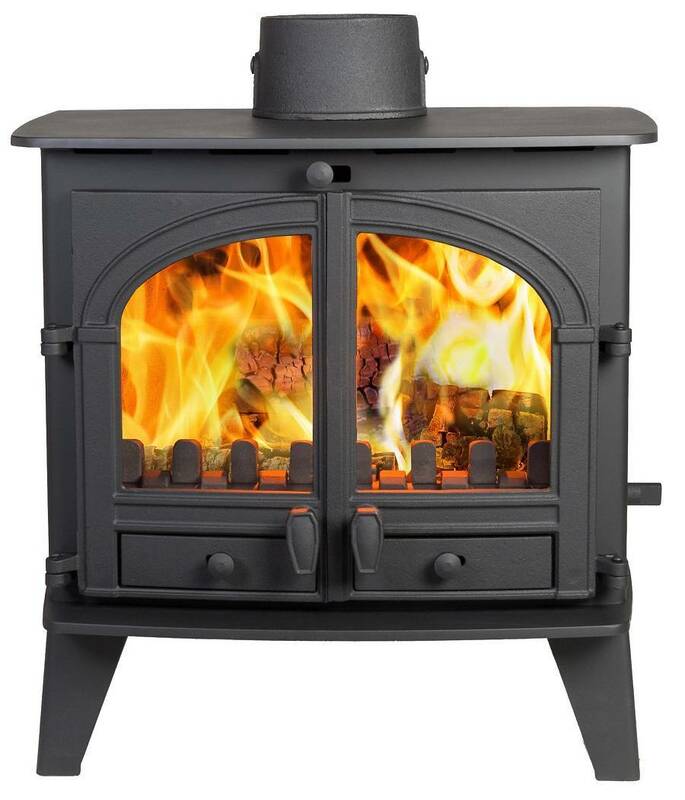 The interal panels of the combustion chambre are also made from cast iron, coated in white flux, offering a versatile, reflective surface to maximise the amount of heat progected out into the room. 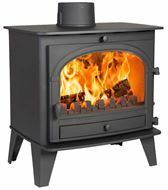 The E-30 L also includes a closed combustion adaptor as standard; this enables external air to be fed directly into the combustion chamber.